Double Kick Heroes was announced for the Switch earlier today. Looking for more details on what exactly the game brings to the table? Check out the official fact sheet below. THE HELLGATE HAS OPENED: 6 licensed tracks directly playable in the game! 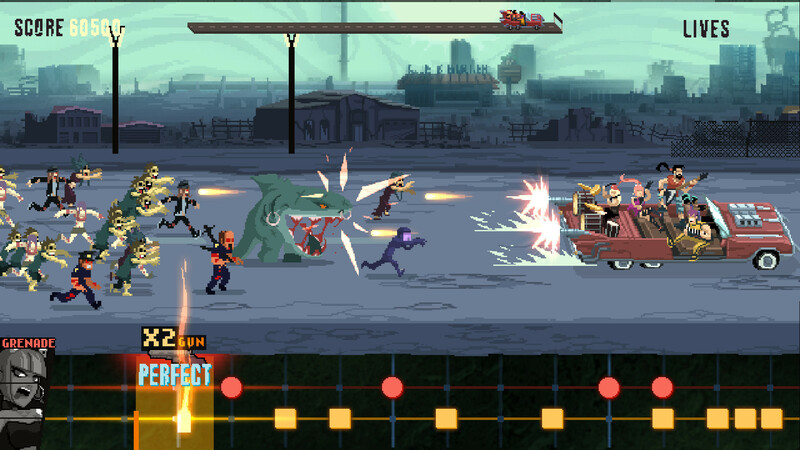 Survive through 24 levels of total madness by killing zombies with your gundillac on the highway to hell!